This breed is considered one of the most cat-like of the dog breeds in attitude: it is alert, intelligent, and independent, and it uses its paws to wash and wipe its face. Other cat-like traits include their preference for resting on high surfaces, their good sense of balance, and their tendency to hide in unexpected places. Japanese Chin are loyal to their owners and are typically a friendly breed. While Japanese Chin prefer familiar surroundings, they also do well in new situations. This, alongside their friendly demeanor, makes them good therapy dogs. 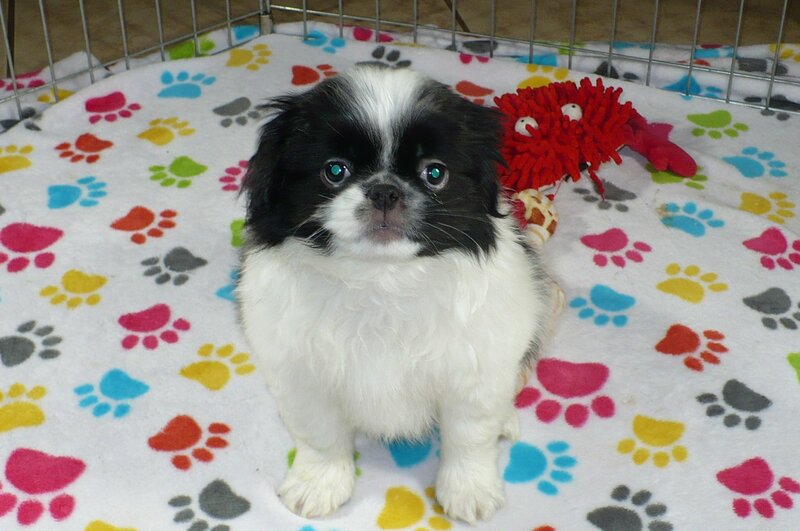 Early socialization of Japanese Chin puppies leads to a more emotionally well-balanced Chin that is more accepting of different situations and people. Japanese Chin are defensive animals and thus although they are usually quiet, they will bark to alert the arrival of a visitor or to draw attention to something out of the ordinary. Japanese Chin were also bred for the purpose of entertaining their owners. While typically calm, they are well known for performing many tricks such as the “Chin Spin”, in which they turn around in rapid circles; dancing on their hind legs while pawing their front feet, clasped together, in the air; and some even “sing”, a noise that can range from a low trill to a higher, almost operatic noise.